Although we may worry that someday we will become our mothers, their lives before we were born – that young woman who still exists behind the aging eyes – usually remains a mystery, no matter how well documented the family history. 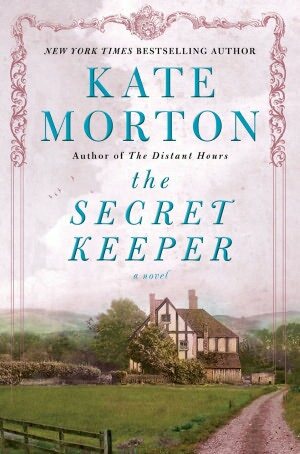 In her latest novel, Kate Morton uses the mystery of a mother’s youth with the backdrop of the London Blitz to reveal a captivating story of love, war, and deception in The Secret Keeper. As Laurel and her brother investigate clues they find in their mother’s trunk – an old white fur coat, a dedication in a book, a photograph, a note with only the words “thank you,” each piece is explained with a flashback to one of the key characters: Dorothy, Laurel’s mother; Vivian, the mysterious wealthy friend; and Jimmy, the photographer who documented wartime existence, its horrors as well as its poignant moments. Kate Morton is one of my guilty pleasures; each of her books has that curl-up-in-a-comfy-chair storytelling quality with just enough romance and Gothic mystery. With its subtle twists, this tale has her usual formula and takes a little longer than usual to get to her trademark surprise ending. If you’ve enjoyed her other books (see my reviews below), you won’t be disappointed in this one. This entry was posted in authors, book review, books, mysteries, reading and tagged books, Fiction, Gothic mystery, Kate Morton, Laurel, London, London Blitz, Morton, The Secret Keeper, World War II, World War II mystery. Bookmark the permalink.